Everyday life is full of blissful and memorable moments and we often wish we could document and preserve those most significant to us before they pass us by. 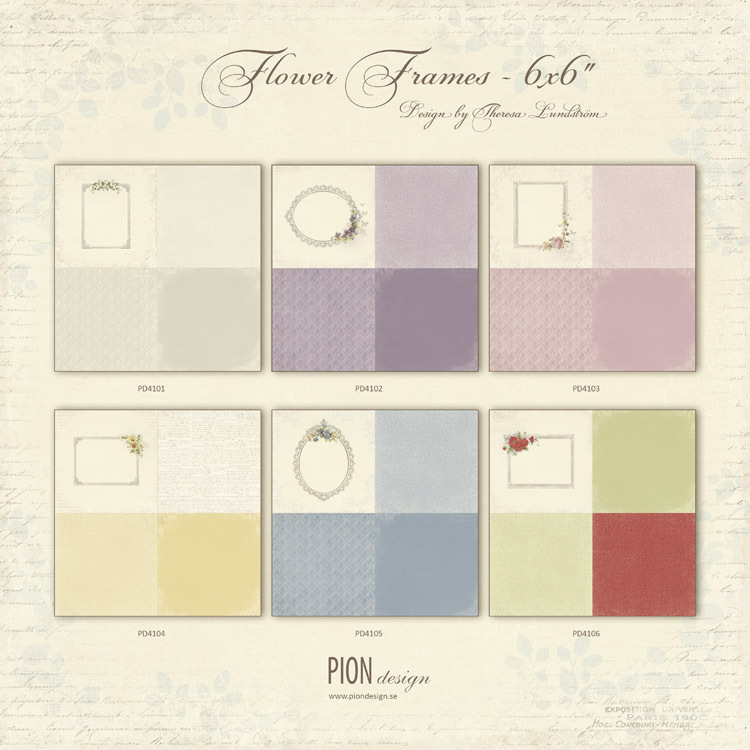 To capture those fleeting events and keep them from running away Pion Design is now releasing the paper collection Flower Frames, a unique collection made especially for moments deserving to be highlighted. 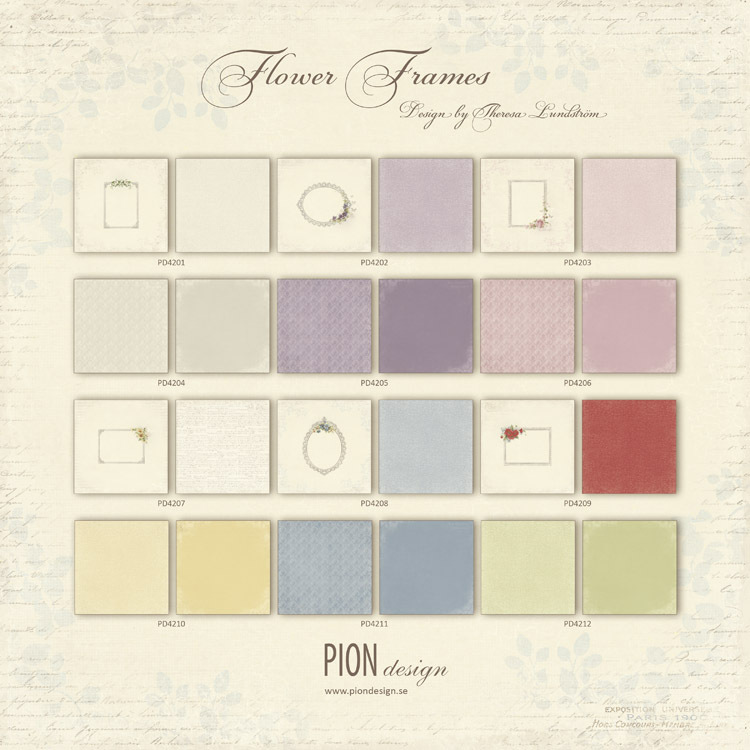 Flower Frames contains delicate vintage frames embedded with flowers in a harmonious color palette. No matter what the aim of your crafting may be, you will find a suitable frame within this collection. So let yourself be inspired to countless projects where the memories of yesterday is preserved for all of the tomorrows! Flower Frames consists of 12 double sided papers in the size 12×12”, as well as single sided papers with 6×6” designs, and is ready for immediate shipping.